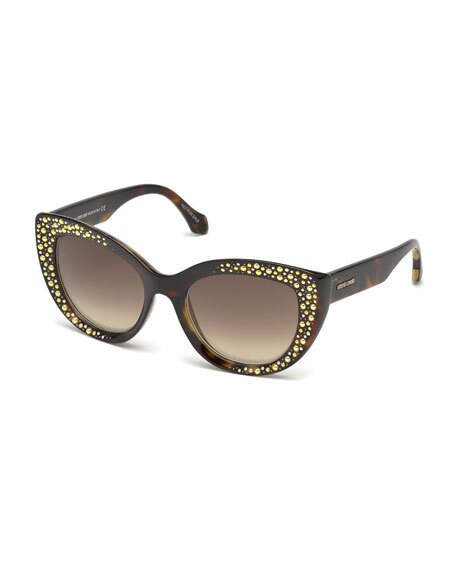 Roberto Cavalli plastic cat-eye sunglasses with mixed stud detail. Chunky temples with logo script. For in-store inquiries, use sku #2225462.